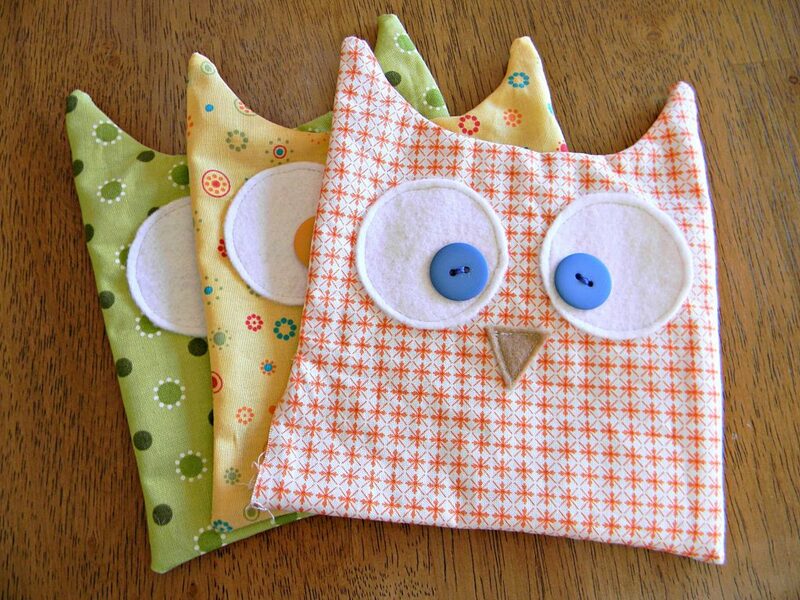 Make Owl Softies using a simple shape and a variety of fabrics you probably already have. This post may contain affiliate links for your convenience in finding the products you need to complete this project. Who doesn’t love owls? And who doesn’t love stuffies or softies? They’re so cute! I decided I was going to make some owl softies in the simplest form possible, so I drew a simple shape on a piece of fabric folded in half, and cut it out. It’s such a simple shape that you don’t need a pattern, but feel free to copy this form. I couldn’t limit myself to make just one softie, so I made 3. The orange one is my favorite fabric which is odd since I don’t really like orange. Another great idea would be to use fabric from a worn or outgrown piece of clothing, especially something your child loved. 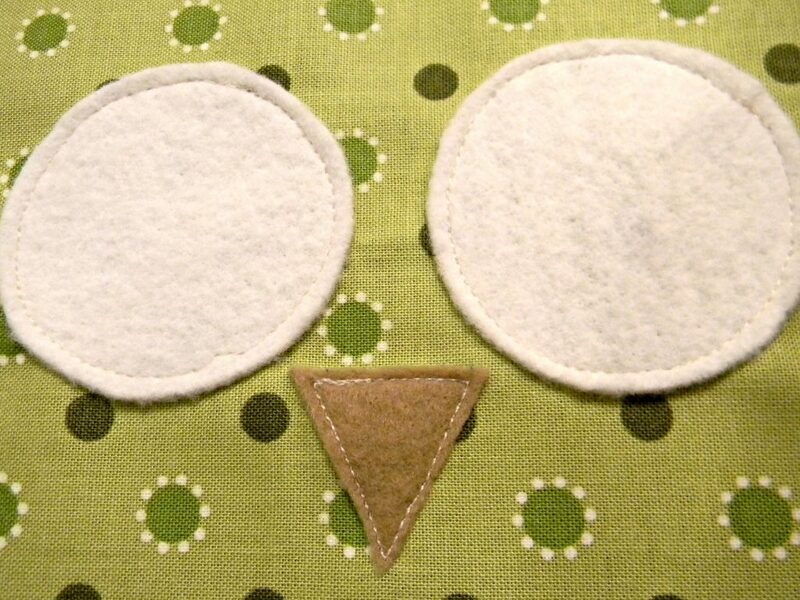 Cut out the eyes and beaks from pieces of felt. The eyes were traced using the bottom of a cup. The beaks were just cut into a triangle shape. The eyes are extra large but I love them. Sew the eyes and beaks into place. 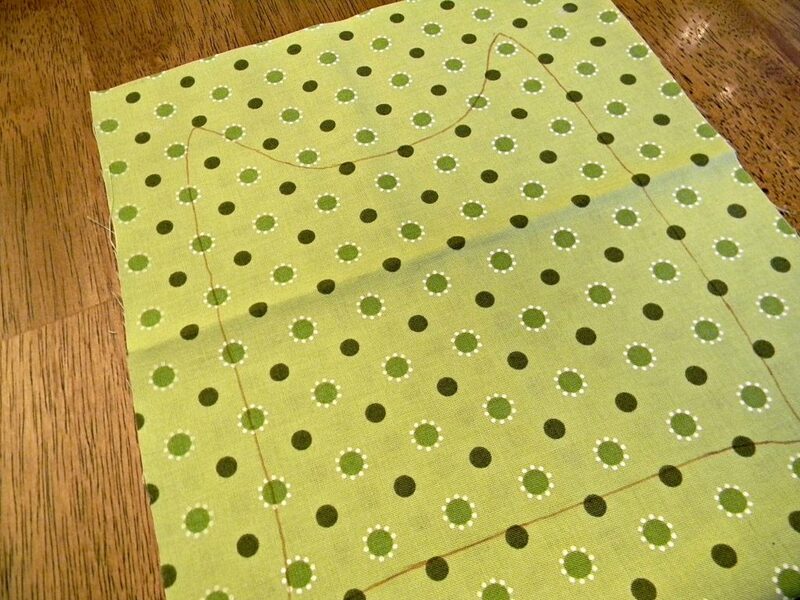 I don’t sew a lot so I was a little worried about the circles, but it was actually really easy. They’re starting to look more like owls now. The buttons from my button stash are perfect for eyeballs. I used the same color thread as the buttons to hand sew them on. Okay, they look a little crazy looking, but I still think they’re cute. 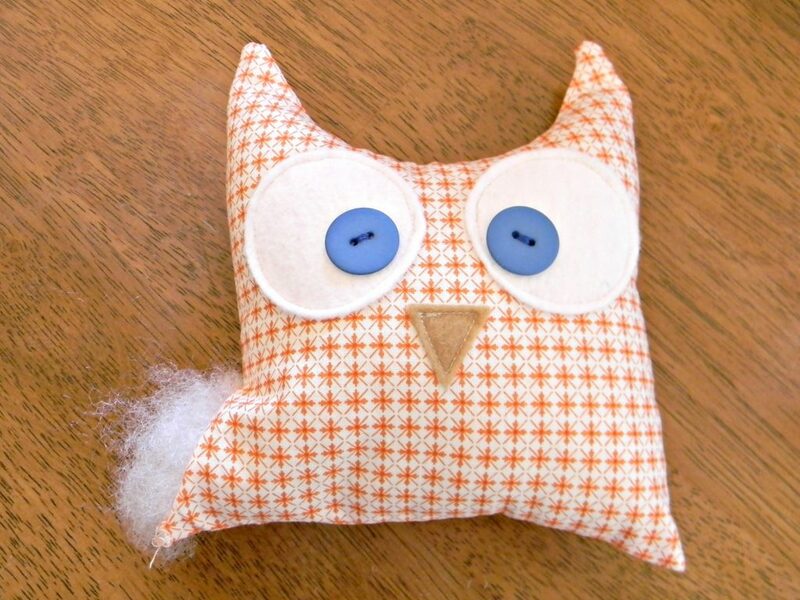 Place the fabric right sides together and sew all around the owl. Leaving a 2″ opening in the owl to turn it right side out. Now it’s time to add the stuffing. Make sure the stuffing gets into every area of the owl. Stuff it extra full for lots of softness and to make it extra squeezable for the kids. Once done, hand stitch the opening closed using a blind stitch. Okay, these are totally adorable. Don’t you think? What little one wouldn’t love these? They were so easy to make that it would be a great first sewing project for anyone. These are so cute. 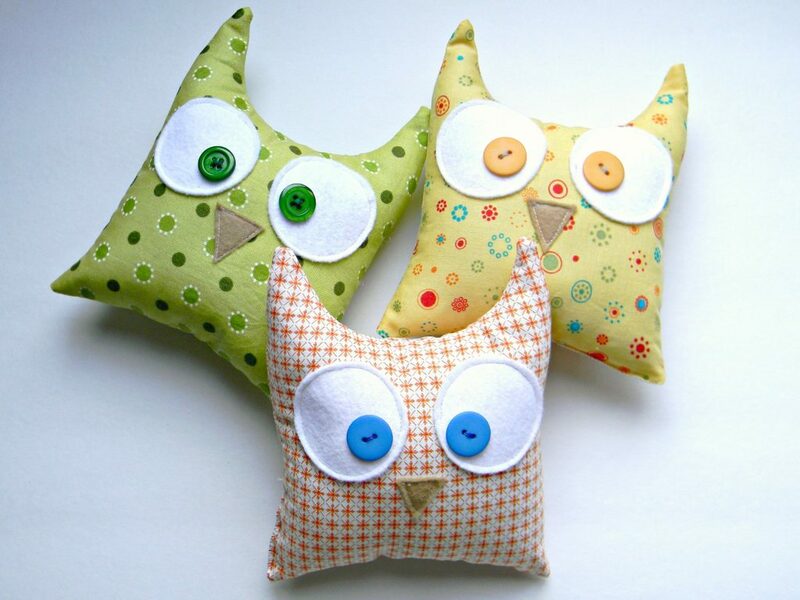 We plan to use owls for my little girl’s birthday party, what great decorations these would be! i love owls! i’ve made a couple, they are so fun and cute! Ok , I am officially in love with your site. I have a silly little crush on anything with owls and I even have a blog post scheduled coming up on just all things owls. Yep. So I may have to link it up to this craft. 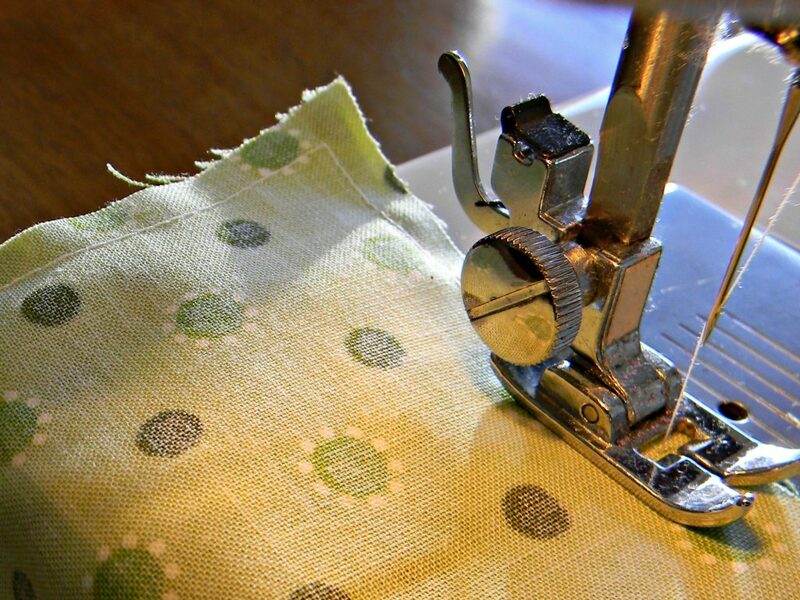 Thing is, I cannot sew to save my life….may have to find a hook up in the sewing department. Those are so cute! I haven’t seen too many owls around lately, which is a shame because I love them. These are great, and look so easy! Thanks for sharing … I’ll be linking. And please come join my link party anytime! Too cute…love these, and so personal! Super cute and looks super easy, too–yay! I’ve been searching organization, storage, and miscellaneous craft projects over the past week or so, and several of those I’ve bookmarked have been from your blog. So many great ideas! Thanks for posting. SUPER CUTE! Owls are all the rage these days. I love these. Love owls! These are too cute and your right, the orange one is my fave too. I am BIG on “Green & Recycling” E.
I found you via Freckled Laundry – and I’m so glad I did! 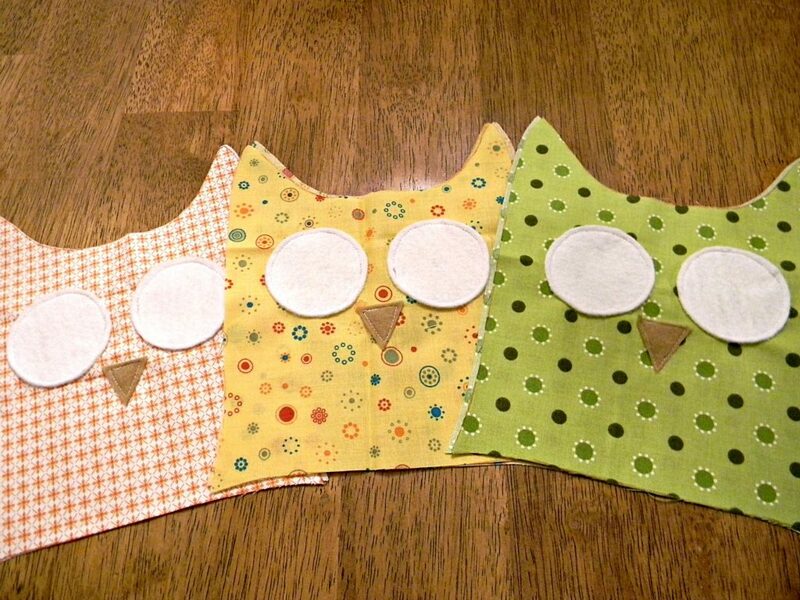 I’m having an owl themed 1st birthday for my daughter in March and I think I’ll make these for table decs. Thanks so much! You made my day! These are really cute! I love the simplicity of your design. Sooooooooooooo cute! Thanks for sharing. They are SO cute! 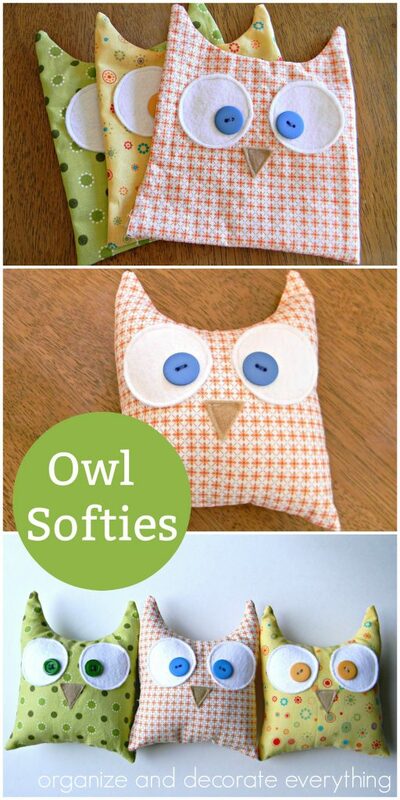 And owls are so big right now, just an adorable stuffed owl, and great tutorial! Thanks for linking up to Topsy Turvy Tuesday’s! I’m totally featuring your owls tonight on Topsy Turvy Tuesdays! Adorable! I’d love to try these! What wonderful baby gifts! So affordable…perfect. Very cute and so fun! 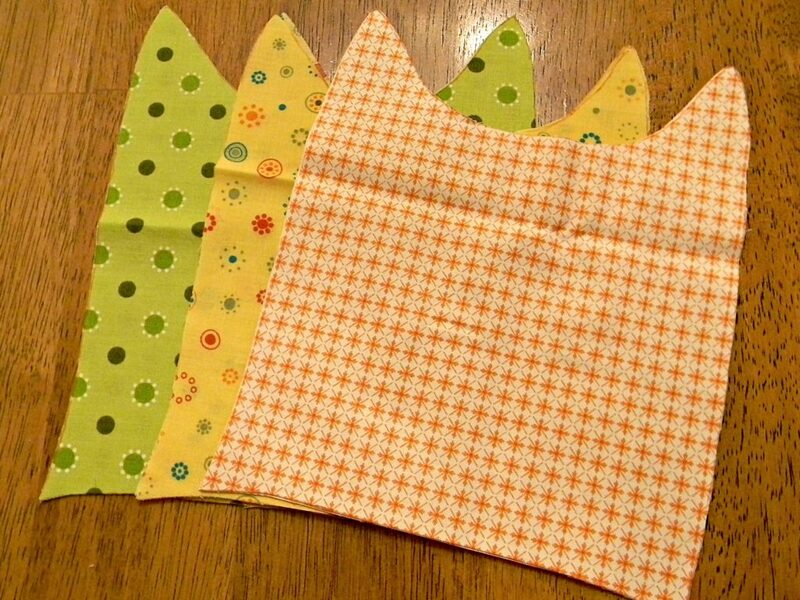 These could easily be made up for favors at a children’s party and I love that I could use up some of my fabric scraps. I also like the idea of using children’s out grown clothing to make a soft toy. Great idea! I’m not sure where to look. Is this a free downloadable design? These are adorable! I am always looking for easy sewing projects to do with my grandboys. These will be perfect! Two questions, however, if you don’t mind: 1) how big are yours? and what is the diameter of the eyes? 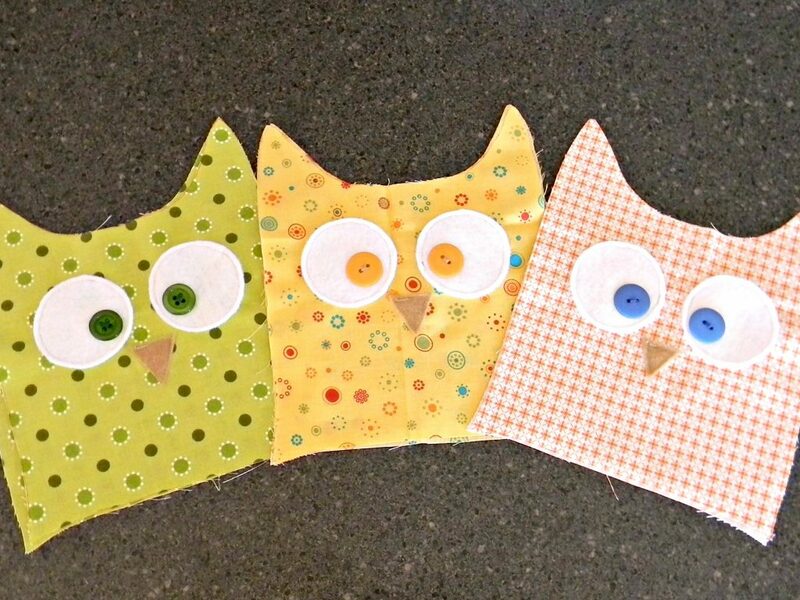 2) can I do them on a fold, having the bottom of the owl on the fold itself? 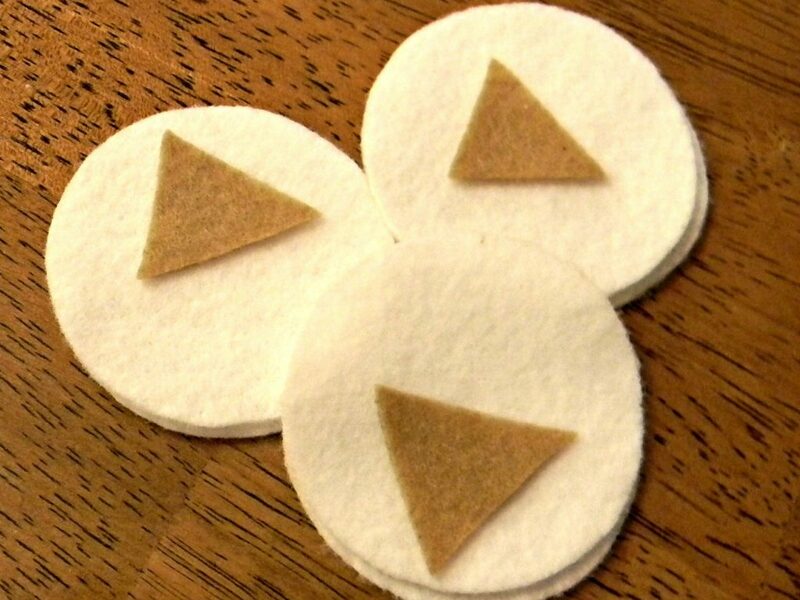 That only leaves 3 sides to sew, and I would leave the stuffing opening up on one side?